The Floppies are frozen flopsicles! Fellow Floppies must flex their Floppy brains to rescue their frozen friends. But how can they, with Floppyland borders separating them? Find out how factions of Floppies band together to fight the frost and free the frozen Floppies, in this Royal Palm Literary Award-winning story of friendship. 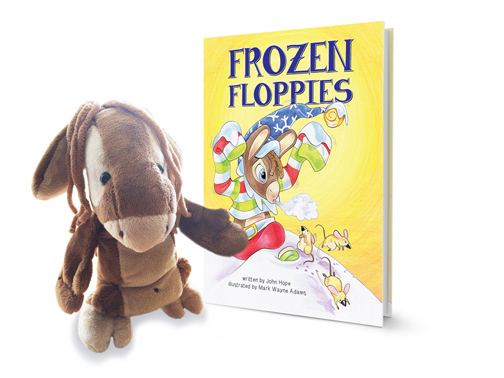 Create your own Floppy using the Size Medium Floppy Pattern included with the "Frozen Floppies" book jacket.